Rubbish removal in your Adelaide home can be a tedious activity. This can never be truer than when you are about to dispose massive amounts of garbage items from your home. Placing rubbish in ordinary trash bags and dropping them off on the curb is inefficient as rubbish collectors may be unable to collect them at one go, and in some instances, may refuse to take them due to the large volumes of rubbish that are already in their trucks. The most practical method of disposing large volumes of rubbish is through cheap mini skip rental in Adelaide. Skip bins in Adelaide come in a variety of sizes and dimensions. If you are about to undergo a major home renovation or a general cleaning and garbage removal at home, getting waste bin services from a reliable Adelaide company is a must. Quality rubbish removal need not be expensive. In the case of waste bins in Adelaide, look for a rental company that offers affordable price rates. For first-time clients, companies are usually offer discounts, especially among those who wish to rent on the long term. There will be cases wherein homeowners need to secure a permit from the city council before they can park a waste bin or mini bin on their property. If you don’t have the time to process a permit, there are skip bin hire rental agencies that provide assistance in securing permits. In this way, you are able to save time whilst ensuring that you get the permit you need to proceed with rubbish removal activities at home. A reliable mini skips company in Adelaide has the ability to render customer support from beginning to end. The responsiveness of a mini bin rental company in answering questions by clients typically indicates their overall efficiency. 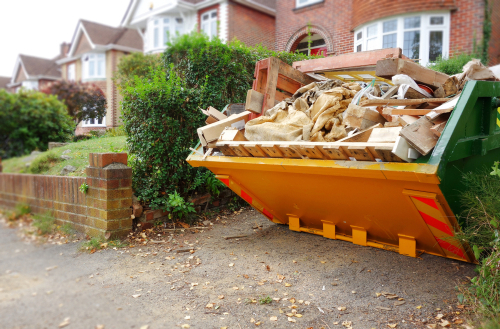 Customer service in the bin hire industry also means that companies are able to deliver the mini skips to the desired location on time as well as pick them up once the rubbish removal project is completed. If you have more inquiries, all you need to do is give us a call on 08 8325 3033 today. Our friendly customer service representatives will be more than happy to answer all of your questions!